Lokesh Rahul’s explosive knock dismantled the Rajasthan bowling to give KXIP a win after two straight defeats. Lokesh Rahul may be a picture of concentration and dogged defending in Test match cricket, but when it comes to the VIVO Indian Premier League, the stylish batsman from Karnataka takes no prisoners. It’s easy to remember when he went berserk against Delhi Daredevils to record the fastest fifty in IPL history, off just 14 balls. While that performance stands out, ardent observers would remember his unbeaten 84 against Rajasthan Royals which got Kings XI Punjab’s sixth win of the season. At the Holkar stadium in Indore, KXIP won the toss and chose to field first and it paid off. Early wickets meant that the visitors on the backfoot right away and went on to eventually salvage 152/9. In response, KXIP started shakily, losing both Chris Gayle and Mayank Agarwal in single figures with the team at 34/2 at the end of the powerplay. Karun Nair joined KL Rahul at the crease to help rebuild the Punjab innings; the duo stitching together a valuable fifty run partnership before Nair was dismissed for 31. Axar Patel also feel cheaply soon after, with Punjab still requiring 65 runs with seven overs remaining. Being well set, Rahul took charge of the situation and began a calculated acceleration which was ably supported by Australian all-rounder Marcus Stoinis. They always looked in control of the run rate and never panicked under pressure despite the asking going over 10 with five overs remaining. Kings XI needed 26 off the last three overs when Jaydev Unadkat came on to ball. Rahul made the most of this over, facing the first five deliveries, scoring 15 runs of it, including a four and a massive six. 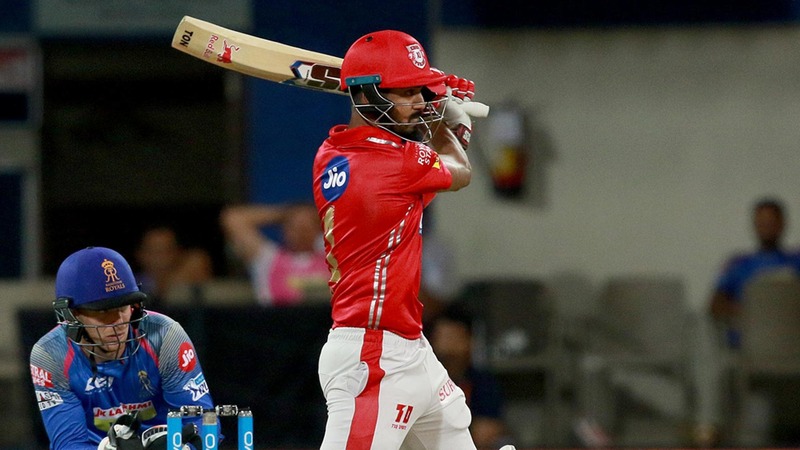 He continued his onslaught in the next over, hitting him for 14 runs of the first four balls to subsequently finish off the match; scoring all of KXIP’s runs after the 17th over. In the last 11 deliveries he faced, Rahul plundered 36 runs. KL ended the match not out on 84 off just 54 balls, aided by 7 fours and 3 sixes, playing a very mature innings to see his side through. On a night where most batsmen failed to make their mark, Rahul’s knock dwarfed over his contemporaries to get the visitors a valuable away victory. "For me personally I think this is the first knock I am really satisfied with because I won the game for the team and stayed till the end. I have been hitting the ball really well so can't complain about that. I always try to back my cricketing shots and don't try to slog much,” an elated Rahul said after the game.